Till some years ago, there were just a few modes of getting in touch with your dear ones - like telephone or post. Then came along the mobile phone revolution that changed the face of socialising. But life's been moving too fast and before we could breathe in and absorb the cell phone culture, along came a guy called Mark Zucckerberg and made a paradigm shift to take place. Like Google became a synonym for search, Facebook became the synonym for social networking. If you're not on Facebook today, you're considered an outcast! Social networking has become a way of life now. Individuals hailing from any age and social background are not only present on these social meeting points but are also highly fond of it. But take a look back at times before 2011. These were accessed by a select niche of tech savvy consumers, business outfits and advertisers. The dawn of 2011 saw internet and these social mediums being highly used for making consumers know about numerous products, services and initiatives. 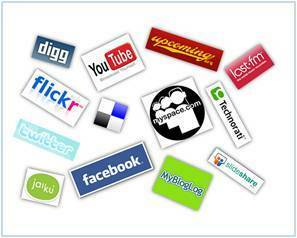 Through 2011 we would see that businesses have been launched and grown over the social media space. Clients and advertisers see this as 'the place' to talk about their products, services, ideas and campaign. Anna Hazare's 'Anti Corruption Campaign' took the social media space by storm. Hundreds of hits on the campaign's Facebook pages, numerous tweets gave tremendous push to cause, gathering people from all over the country. Rajnikant' SMS jokes on his 'godly powers' may be for the sake of light entertainment. But the Southern superstar's son - in - law Dhanush, took entertainment to a new level. His latest 'Kolaveri Di' has become a rage among youth. The song, which has a strong presence on Youtube, caught attention through Facebook sharing. Within a couple of days of its release, Kolaveri Di has been all over the media-television, radio, newspaper while continuing to grow online. Though these events had strong online presence, a lot of ink went into this as well. Anna's campaign manage to gain huge number of supports; while Kolaveri encashed on its growing popularity. So is the social media really 'the next stop of businesses and advertisers? What is scope like?